The single best thing you can do for your career is to build it over the foundation of a solid education. For many Indian students, it doesn’t get better than an IIT degree. Indian Institutes of Technology have all the ingredients associated with a top notch education – the best students, excellent professors, facilities for intellectual & personal growth and the highest salaries that freshers can dream of. Not to mention the instant respect you’d get when someone finds out you are an IITian. 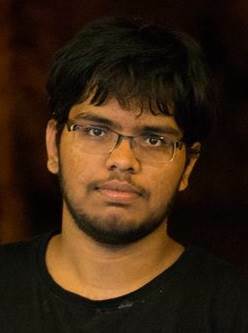 IIT Kharagpur student, Sricharan, sure knows a thing or two about cracking the IIT JEE. He secured a high All India Rank (AIR) in the Joint Entrance Exam used to filter out the best from the rest. I started thinking about IIT right from my eighth class. My Principal used to talk about his old IIT students and their achievements. Their success stories really inspired me to get into IIT. My school provides foundation coaching in IIT. I started it right from my eighth standard. That helped me get into a premier coaching institute in Hyderabad (Sri Chaitanya Narayana) free of cost. Rather than preparing on my own, I felt that working along with students who have good foundation and under the guidance of best professors in the country would surely help me. I would like to say that, 11th & 12th standard classes are the time where the student needs maximum guidance in each and every thing. And self study may have some distractions. I would suggest that students should cut down on their mobile and Facebook usage for two years. After getting into IIT you will surely thank me for it. Which JEE study material to use? As IIT JEE is a logical exam, foreign books give you more insight on the subject than routine coaching books which contains full of formula rather than concept. But rather than using these books blindly, I would suggest students to follow the books which they feel comfortable using. How many hours to study? I am very determined and I showed a lot of perseverance in my preparation. Every single day, I used to work for 6 to 8 hours other than routine class schedule. I used to follow during my preparation to improve my focus and absorption of new concepts. I broke up my study schedule into 30 minute slots and targets for each slot to solve problems. Then I would relax for 5-10 minutes and again start another 30 minute slot. With this study plan, your efficiency will increase. Give it a try. For me Chemistry and Physics always used to be my tough subjects. My friends used to be far ahead of me in them. But instead of solving a large number of problems, I focussed on understanding the underlying concepts perfectly. I followed the tips of my parents & teachers religiously before the exam. During the exam I focused on the basics like relaxing myself, going to washroom before the start of exam. I used to eat chocolates and coke/red bull before going to exam, because they help us maintain concentration during exam. But be careful with this last tip, as it may have undesired results if your body is not used to it. Go into the exam with confidence and don’t let small failures deter you. If you don’t get the first question, try the second one with the same confidence. Similarly even if you don’t get the first 30 questions, you should solve the 31st question with the same confidence. One should never give up. I secured AIR open rank of 223. My parents were ecstatic the moment they heard this. But frankly I was slightly disappointed, because my friends, parents and some online predictors told me that I will make it into the top 100. That pushed my hopes higher and the results didn’t match them. But now I feel that I am very lucky to be in IIT Kharagpur. After the results were announced, I was in the newspapers the next day, as I was the topper in my district. During counselling I expected to get IIT Kanpur, but I got IIT KGP. IIT KGP has a fantastic culture and I’m glad I got a chance to be part of it. More on my life at IIT in a different post. If a student feels that he has orientation towards maths, physics, chemistry then I would suggest that he should take up JEE Preparation. But don’t depend on self-perception alone, since that could be misleading. Get proper counselling with parents and school teachers to get an objective assessment about your capabilities and potential before selecting JEE. I’d like to deviate from the topic a little to share a story. A friend of mine came to our JEE preparation class when it started. He is good in physics and chemistry but not interested in mathematics at all. His grades used to be low at the start. Later he got shifted to AIIMS Preparation because he is interested in biological sciences. And rest is a history. He secured AIIMS AIR 2 in the Open category. The point of sharing this story being – recognise your strengths and weaknesses and then take a decision. I would suggest that you start preparation right from 11th class. But frankly, one year of serious preparation can get you into the top 100. The 12th class plays a very important role. Other than the books i have mentioned, the books by Resonance are very useful, because they are prepared by collecting information from various good books. Regarding practice papers, I would like to recommend that you go through FIITJEE question papers, and the other Kota based institutes’ papers too. Every premier institute has experienced faculty who frame those question papers. I did not study online, so I don’t have much idea about online preparation material, but you can refer to Resonance’s material (mainly for chemistry) that can be found online. I would suggest that you solve a JEE Patterned paper every weekend, so you don’t lose your grip in solving questions in limited time. IIT is a great place to study. Every time your motivation goes low during preparation, meditate. Just close your eyes for two minutes and visualise the future moment. Think that you’ve ranked in the top 100 and feel the moment of friends/relatives praising you. I did it regularly. It gives you a lot of confidence. One thing to keep in mind about IIT. It is not only about high salaries as many parents think. Among 1400 students in a batch, only 1 or 2 guys get a compensation package of above one crore. So don’t force students after coming to IIT and IIT is not only about jobs. Students may come with one ambition into IIT, but for the good students IIT can open up the doors to one lakh more opportunities. They have wide variety of things to learn. After coming to IIT I learnt Data Analytics. I organised many events. IIT KGP turned me into a leader. In extra curricular activities, I learnt drums, bridge and many other sports. And I am still left with a lot to say about preparation. We can write a book on IIT Preparation and this article only scratches the surface. So parents and students, if you have any queries please do share them in the comments below. Thanks bro..i have inspired a lot…your post gave me a confidence. This was really very inspiring. Thanks bhaiya. I am in class 9 how can I prepare for IIT. Thanks bro….I am in 11 class and I want to study in IIT….so how can I prepare myself in this class??? ?plz reply me……. I am in fiitjee class 12 .I did not able to increase my speed and manage time even I tried so many times board exam is also cooming . pls help me how to increase speed even I do problem practice regular. Thank you so much. Its really inspiring. Personally i never wanted to go for an iit because i never wanted to be a part of the herd racing but now I understand all this is worth it. Im in 11th standard and i feel that im not working up to the standards. Like you said you worked for 6-8 hours.. thats way ahead what im doing. I have a question there must have been some or the other distraction to you also so how did you overcome that? And one more. Did you follow a strict timetable or something to bind your time?